If someone told you they knew a secret to help your baby sleep better, cry less, and learn better, you would certainly be interested... Babywearing, the practice of carrying baby in a soft carrier close to our body as we go about our daily business, is parenting's best kept secret. Good things happen when we wear our babies. Babies who are worn cry less, are more calm and content, sleep more peacefully, nurse better, gain weight better, enjoy better digestion, and develop better. Babywearing benefits parents! It enhances parent-baby bonding, is practical, facilitates breastfeeding, helps working parents reconnect, and makes transitions from one caregiver to another easier. But most importantly, it allows you to meet your baby's need to be held while allowing you to meet your need to get things done! Anyone can wear baby - mom, dad, sister, brother, grandparents, baby sitters, and day care workers. The more baby is worn the happier baby is. And, a happy baby makes a family happy. 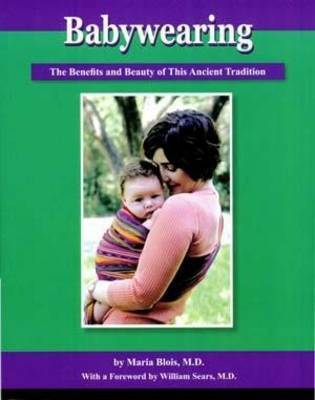 In this book you will: *Learn about the benefits of babywearing. *Hear from babywearers all over the country. *Learn how to choose and use the carrier that is right for you. *Learn how to make your own baby carrier.